Moving to Tennessee - Compare International Movers & Save up to 70% ! When you are preparing for an international move, you want to try and be as organized as possible. You also want to make sure that you don’t pay too much for your moving costs. Intlmovers can help save you the time and energy needed to obtain a number of quotes with just one simple submission. Not only will Intlmovers help save you time, it will also help save you money. You can request quotes from up to six moving companies and it is absolutely cost free. The international moving companies will respond directly to you, so there is no sitting around and wondering. Once you have received your quotes, you can easily compare offers and make your selection for your Tennessee move. If you find that none of the quotes that you received meet your requirements, you are under no obligation to accept any of them. Compare the services, compare the prices and make sure that you get the best value out of your moving budget for your international move to (or from) Tennessee. The movers have years of experience with moves to Tennessee. Avoid the stress and let the movers do the hard work. The movers have contacts in Tennessee which can make your move cheaper. Tennessee is world renowned for its central role that it played in the growth of rock and roll music, along with early blues. Memphis is the largest city, and the famous street of Beale Street in Memphis is generally considered to be the original birthplace of blues music. It was home to a number of famous artists and recording studios. During the 1950’s, rock and roll took shape with the many talented artists that began here. The capital city of Nashville is commonly recognized as the epicenter of country music making. It comes as no surprise that tourism is a major industry, attracting visitors from all over the world and in particular music fanatics and fans. Additionally, agriculture is big business, with poultry, soybeans and cattle being their major products. Manufacturing exports include chemicals, transport and machinery as well as electrical equipment. Tennessee experiences a humid sub tropical climate, with the exclusion of the section of the state that is made up of the Appalachian mountain range. This area is considered to have the cooler mountain temperate climate. The Gulf of Mexico has a big influence on the state’s weather and brings generous rain to the state consistently throughout the year. The summer temperature in July is hot and humid with an average of around 90°F (32°C). The winter temperature in January is considered mild to cool at an average 48°F (27°C), however the overnight temperature is often close to freezing during the height of winter. The cost of living in Tennessee is generally extremely reasonable. The cost of housing in Tennessee is considered to be around 22% below the national average and the cost of utilities is around 14% below the national average. 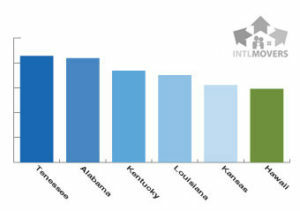 The average salary in Tennessee is around 20% below the national average. In Nashville in 2012, the median price of a home was at $190,000 with the 25th percentile price at $130,000 and the 75th percentile at $310,000. Comparatively in Memphis, the median price was $145,000 with the 25th percentile at $85,000 and the 75th percentile at $235,000. Ensuring that you have the correct visa for your arrival in the USA is extremely important. It is much easier to ensure that you have arranged this prior to your arrival, and well enough in advance to allow for any hold ups with administration. If you are a passport holder from any one of up to 36 participating countries of the Visa Waiver Program, then you are able to stay in the USA without any need of a visa for a period of up to 90 days. The countries include Australia, New Zealand, Singapore and a number of European countries. Further, Canadian and Mexican passport holders have special rules in regards to visa requirements. You should always check with your local embassy or authorities to confirm the exact requirements for your personal situation when you are travelling internationally. Whilst the USA has open doors for all legal entrants, arriving without the correct paperwork can cause you a lot of unnecessary problems. The moving companies on Intlmovers are professionals, who often offer specialization in specific services or fields. 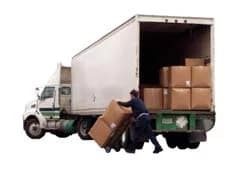 You do not have to worry about your property being damaged because they will ship it reliably and responsibly, so that your belongings arrive in unscathed and ready for you to start your new life in Tennessee.